One Eternal Day: "A ripping yarn"
.... It’s a ripping yarn, it’s just so exciting. I first read it when I was about ten, and I’ve re-read it periodically since and it combines two of the things that I love most. It’s a great thriller, but it’s also brilliant about sailing. And it was written tremendously early – it was published in 1903. He really invented a new way of writing about international affairs. ...[I]t combines derring-do, open air and a kind of lovely, thumping sense of duty that is very British as well. It sets the tone for an awful lot of what follows. I don’t think we’d have had James Bond in quite the same way if we hadn’t had Carruthers first. 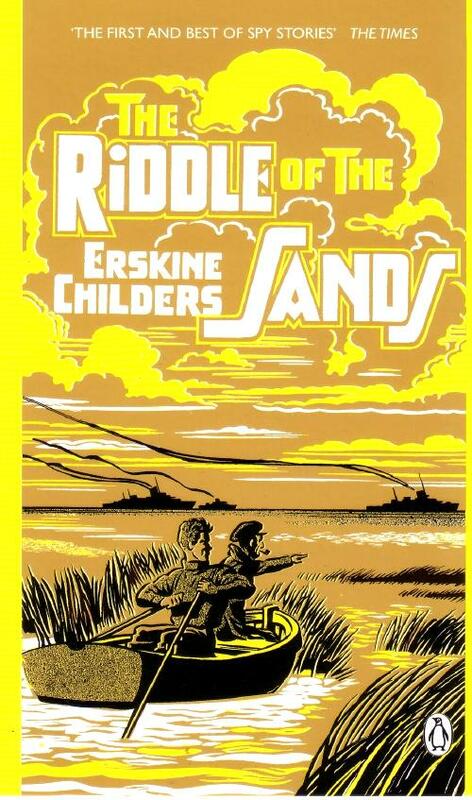 The Riddle of the Sands: A Record of Secret Service is a patriotic British 1903 novel by Erskine Childers. It is a novel that "owes a lot to the wonderful adventure novels of writers like Rider Haggard, that were a staple of Victorian Britain"; perhaps more significantly, it was a spy novel that "established a formula that included a mass of verifiable detail, which gave authenticity to the story – the same ploy that would be used so well by John Buchan, Ian Fleming, John le Carré and many others." Ken Follett called it "the first modern thriller."